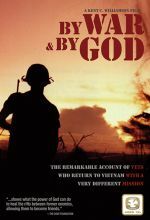 By War & By God tells the traumatic, yet redeeming story of a small group of soldiers whose lives were forever shaped by war, but whose faith has led them back to Vietnam to love, serve, and care for the people of that beautiful land. Through first-person interviews, archival war footage, and present-day on-location filming, the stories of these amazing “Vets with a Mission” exemplify the good that can come from a handful of lives that are touched By War & By God. How does war shape a man? The Vietnam conflict was long ago, but its impact lives on and the battles continue in the hearts and minds of the U.S. soldiers who were there. In the jungle heat, the sweat, and the blood they became men. But today, over 40 years later, Vietnam is the land where these men become heroes. 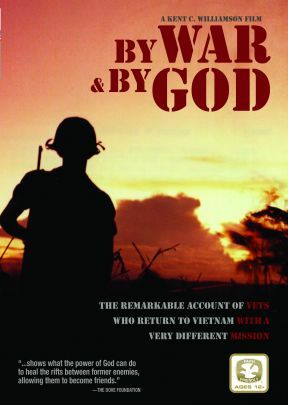 Nominated for a regional Emmy® Award, By War & By God tells the traumatic, yet redeeming story of a small group of soldiers whose lives were forever shaped by war, but whose faith has led them back to Vietnam to love, serve, and care for the people of that beautiful land. Through first-person interviews, archival war footage, and present-day on-location filming, the stories of these amazing “Vets with a Mission” exemplify the good that can come from a handful of lives that are touched By War & By God. In Kent C. Williamson's moving documentary, Vietnam veterans confront the ghosts of war and find reconciliation in two unlikely places: their hearts and "in country." Many veterans have difficulty talking about their experiences—not just with family and friends, but even with each other. As one vet here says, "I left feeling that we destroyed a people and a country." Many have fallen victim to PTSD, depression, substance abuse, and more, but one group of vets—who took the step of gathering together to talk and work through issues—now have a desire to go further and close the loop on their past. Since the 1980s, "Vets With a Mission," comprised of Christian veterans, have regularly returned to Vietnam to minister both in traditional ways (supporting local churches) and broader actions, including holding health clinics to help thousands of patients—treating everything from dental health and low vision to surgeries and AIDS prevention. Through their faith and willingness to face their past through the lens of the present, they have worked to help renew the country that they left in flames, making a difference in the lives of the Vietnamese people, while also healing themselves. Highly recommended.